Parking lights are also known as city lights and are the lights that turn on at the first position of your light controls. These lights provide additional light in addition to the main low beams and are sometimes used as turn signals on certain vehicles as well. 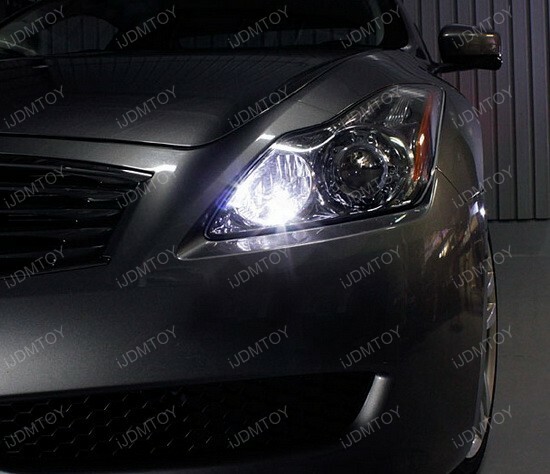 Many higher end vehicles such as this Infiniti G37 comes with factory installed HID headlights for the low beams and the yellow incandescent parking light bulbs just do not do justice next to them. 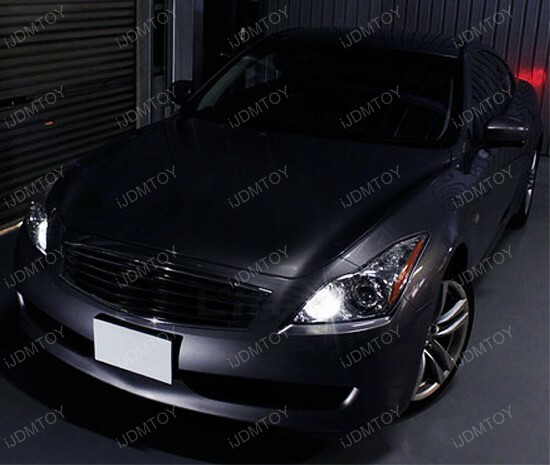 Installed on this Infiniti G37 are our 168 LED parking lights which have 9-SMD 5050 LED diodes per bulb. 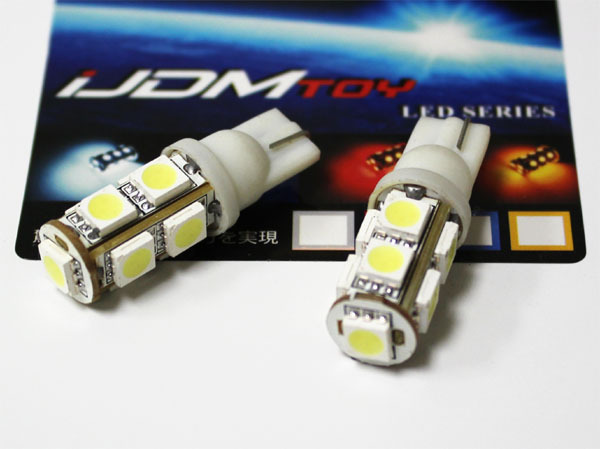 These lights are rated at 6000K which makes these a much better alternative to the factory color; the color is very versatile and can match closely with HID lights that range from 4300K to 8000K. It is recommended to go with a 6000K HID light for the closest match though. These specific lights are available in either Xenon White as pictured or in 20,000K Ultra Blue which is recommended for off-road use only. 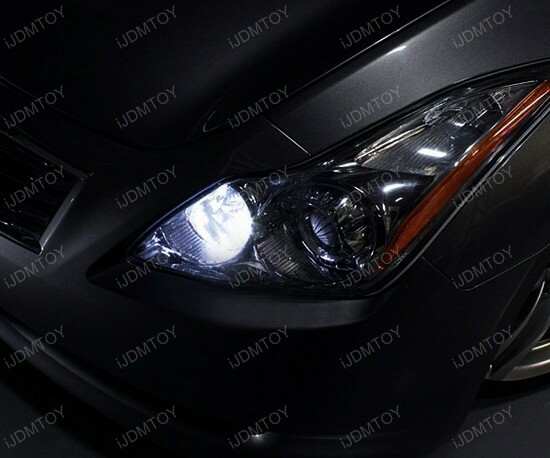 The LED parking lights are very easy to install on the vehicle as it only requires removal of the factory bulb and bulb holder from the housing. The procedure is very straight forward as it just replaces the bulb, but depending on the application that this is going on, it may require removal of other components to access the parking lights. Some vehicles may be able to access the parking lights from the top of the engine bay and some may require access from the fender liner in the wheel well. Whatever application you have, LED parking lights are a cost-effective way to turn that ugly yellow into an HID-like color that is sure to have people notice.